A kitchen should always be well furnished; there is no necessity that it should be profusely so, but there should be a sufficiency of every thing which can aid in producing the dishes preparing, with the success which is so essential to the gratification of the palate. 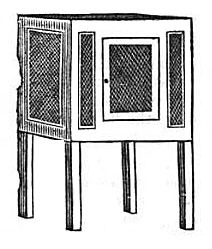 In furnishing a kitchen there should be everything likely to be required, but not one article more than is wanted; unnecessary profusion creates a litter; a deficiency too often sacrifices the perfection of a dish, there should be a sufficiency and no more. 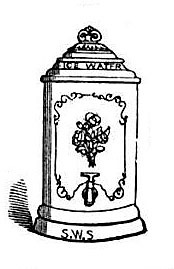 The following articles, of which we have given engravings, are requisite: we are indebted for the designs to the courtesy of Mr. Stephen Wm. 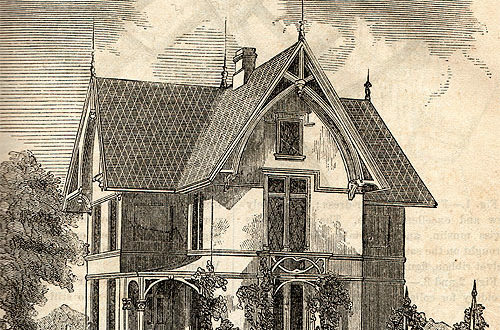 Smith, Housekeepers’ Furnishing Store, No. 50 Maiden Lane, New York. Waffle Furnace. A very ingenious article, making four good-sized waffles with less labor than is required in making one with the ordinary iron. 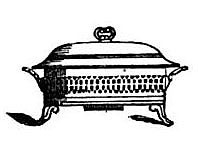 Chafing Dish with alcohol lamp, to keep steaks hot, or to cook oysters, venison, mutton, &e., on the table. Lignumvitae Mortar and Pestle.The adulteration of ground spices, makes this an important article where good spices are wanted. French Julienne Mill. To cut into fine parings all kinds of vegetables for soup. 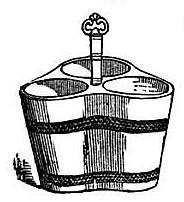 French Butter Forcer.There are 12 different forms to each, that giro an infinite variety to this decorative manner of serving butter. Coffee Roaster. To each pound of coffee put one table-spoonful of water. The coffee will thoroughly roast without being burning. 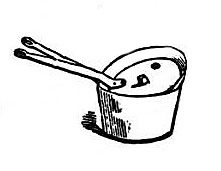 Sauce Pan and Potato Steamer. Butter Pat in Case. This gives the butter a handsome form and print at the same time. Soup Digester. 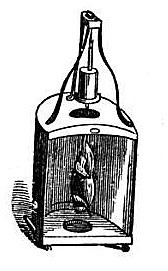 The great importance of this valuable of this valuable utensil, the Digester not only to poor families, but to the public’ in general, in producing a larger quantity of wholesome and nourishing food, by a much cheaper method than has ever been hitherto obtained, is a matter of such serious and interesting consideration, as cannot be too earnestly recommended to those who make economy in the support of their families an object of their attention The chief- and indeed the only thing necessary to be done, is to direct a proper mode of using it to most advantage; and this mode is both simple and easy, Care must be taken in filling the digester, to leave room enough for the steam to pass off through the valve at the top of the cover. This may be done by filling the digester only three parts full of water and bruised bones or meat, which it is to be noticed are all to be put in together. It must then be placed near a slow fire, so as only to simmer (more heat injures the quality,) and this it must do for the space of eight or ten hours. After this has been done, the soup is to be strained through a hair sieve or cullender, in order to separate any bits of bones. The soup is then to be put into the digester again, and after whatever vegetables, spices, &c, are thought necessary are added, the whole is to be well boiled together for an hour or two, and it will be then fit for immediate use. In putting on the lid of the digester, take care that a mark, thus (X) on the lid, is opposite to a similar one on the digester. The digester may also be obtained to contain from four quarts to ten gallons. 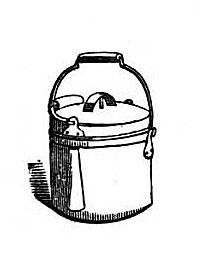 There are also saucepan any stewpan digesters to hold from one to eight quarts. Roasting Screen and Jack. The screen is adapted to the ranges and cooking stoves in general use. The jack is wound up and runs so as to keep the meat constantly turning till cooked. Closet or Upright Refrigerator The door on the side insures ventilation, and the closet form is most convenient to arrange dishes. 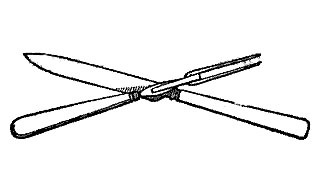 Fish Scissors. For cutting and trimming fish. 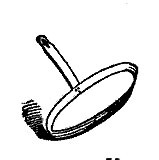 French Bake Pan. 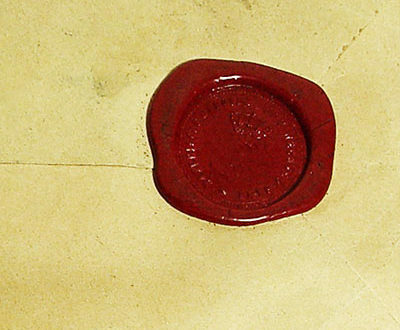 Of wrought iron, to pat fire or embers on the cover if needful. 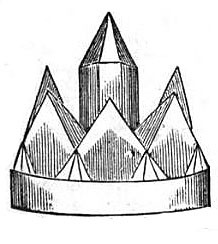 Patent Ice Breaker. 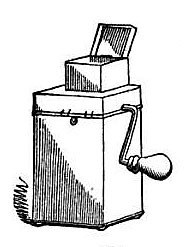 To break ice for table use, and for making ice cream. Cheese Toaster.to make Welsh Rarebites with double bottom for hot water. Charlotte Russ Pans. Oval shape, and nice to bake any other kind of cake. French Basting Spoons. Deep and with, side handles. Russia Iron Roll, or Corn Cake Pan.Gives a handsome brown soft under-crust. 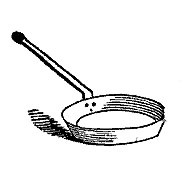 Enamelled Preserving Pan. 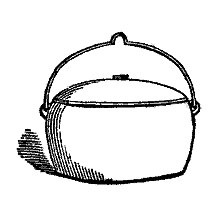 For sweet meats, jellies, marmalade, &c.
French Milk Sauce Pans.To boil milk, cook custards, &c., without boiling over, by an arrangement of valves in the lid. Copper Cake Form. To bake cake for icing. Soap Stone GriddleTo bake cakes without grease or smell. 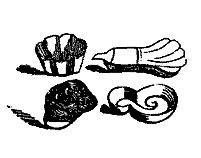 Marble Slab, and Marble Rolling Pin. Pastry made with these is light and flaky, from its being cold. Copper Stew Pan. Tinned inside. 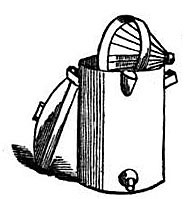 Egg Coddler.To cook eggs on the breakfast table. 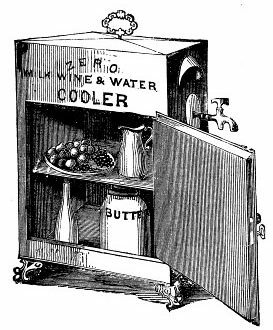 Wine Cooler.For cooling bottles of wine, &c.
Jelly Strainer. Is made double and filled in with hot water, this heat keeps the mass limpid and a much greater amount of jelly is made from the same materials. Ala Mode Needle & Larding Needle.With split end to draw in strips of fat pork, bacon, &c., into beef for a-la-moding. Larding Needle. 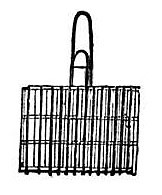 Same for poultry, game, &c.
Flesh Fork.To take ham, boiled meat, &c. from the pot. Iron handle, steel blade Chop Knife. Game and Chicken Carvers. With long handles and short blades. 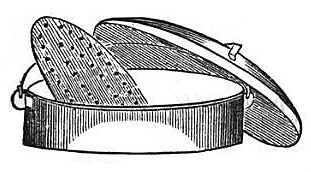 Bread Slicer. 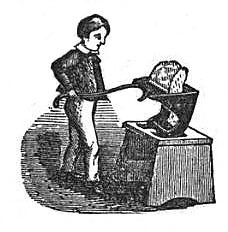 With guage to slice bread uniformly any desired thickness. French Decorating Knife. To make flowers of carrots, turnips, beets, &c.
French Chop Knife. 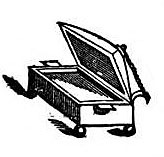 Heavy, to cut through small bones. Boning Knife. To bone turkey, ham, beef, &c.
Beefsteak Pounder. To make steak tender, and potato masher on the other end. Beefsteak Tongs. To turn a steak, to avoid puncturing holes with a fork, which lets the juice escape. 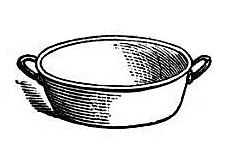 Oval Pot.For boiling ham, corned beef, &c.
Porcelain Lemon Squeezer. To preserve the fine oil of the lemon that is usually absorbed by the wooden squeezer. Fancy Patty Pans. For baking ornamental tea cakes. Boxwood Scrub-brush. To clean beautifully unpainted wood, table tope, meat and pastry boards. Vegetable Slicer. To slice potatoes, to fry and fricassee, green corn from the cob, cucumbers, vegetables for soup, cabbage, dried beef, &c.
Felt Jelly Bag.Is seamless and strains jelly handsomely. 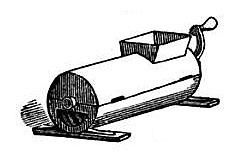 Wooden Bread Trough and Scraper For mixing bread. 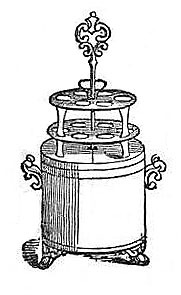 Revolving Enamelled Gridiron with fluted bars to convey the gravy to the cup. 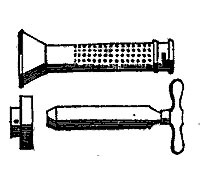 Ice mallet with pick that slides into the handle. Wire corn popper, a half tea cup full of dry pop corn will fill the popper by being agitated over the fire. 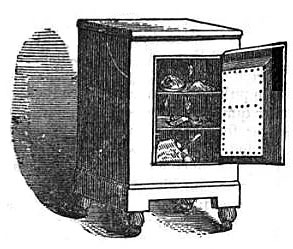 Sardine opener, to open tin boxes of Sardines, preserved meats, preserves &c.
Double wire oyster gridiron to broil oysters, chops, cutlets, steaks, toast bread &c.
Wire pea or vegetable Boiler, for peas, beans, rice, boils dry and when taken out no grains are left in the pot. 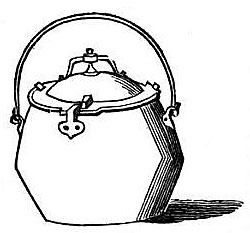 Tea Boiler. The leaves are put into the ball and then the ball into the tea pot, the tea steeps without having the leaves poured into the cup. Flat egg-whip. The best shape and easily cleaned. Pudding Mould. “Who likes boiled pudding? Can have it dry and light if cooked in one of these moulds. 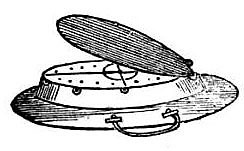 French Oval Meat Pie Mould. Opens at one end. Plated Fish Carter and Fork. Useful also to serve asparagus, buckwheat cakes. 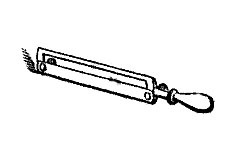 &c.
Puree Presser.For pressing vegetables for soups, pulping fish, &c.
Egg- Poacher. Break an egg in each cup and submerse the whole in hot water. Farina Boiler Double. Place water in the outer boiler and cook the farina, custard, corn starch, milk, &c., in the inner one.